(HealthDay)—A change as simple as where you do most of your food shopping could translate to a better diet. A San Diego State University study looked at the food shopping habits of college students in the Minneapolis/St. Paul area and identified patterns, such as whether they were fresh food market or convenience shoppers, and whether they made conscientious choices regardless of the store they went to. The researchers found that certain types of shoppers ate healthier. For instance, people who made a point of shopping for fresh foods at specialty markets had better diets than traditional supermarket shoppers. And people who shopped for convenience first fared worse—even if they tried to eat well, the healthy choices available at such stores are often limited. An earlier study done at the University of Kentucky also found that where you shop makes a difference in what you eat and drink. People who frequented farmers' markets or specialty grocery stores at least once a week were more likely to eat fruits and vegetables, whereas shoppers at typical supermarkets were more likely to be soda drinkers. Your budget can be a factor in where and how you shop. High-protein foods and fresh produce can eat up food dollars. It's no surprise that a frozen dinner usually costs less than a fresh fish filet. To stretch your dollars, one solution is to cut out junk foods and redeploy that money on healthy choices. Also, be flexible with meal planning so you can buy fresh foods when you find them on sale. Get enough for two or more meals, one you'll eat now and the rest to freeze for later. 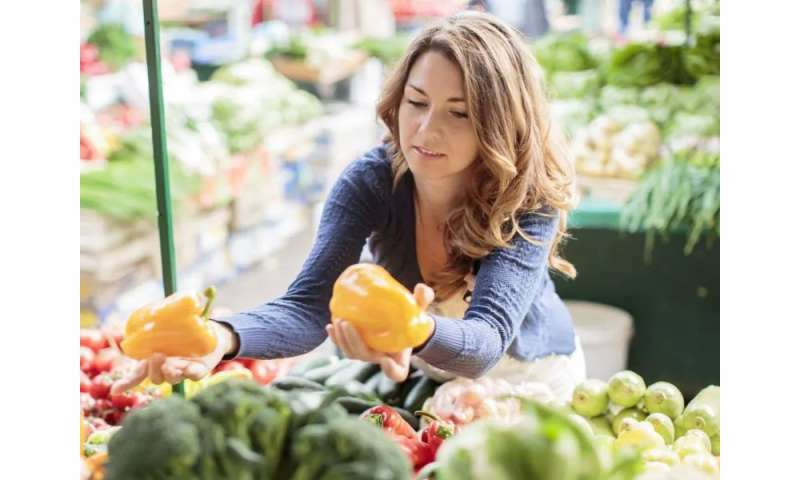 More information: Fruits and Veggies More Matters has a month's worth of tips to stretch your food budget to make healthier choices.